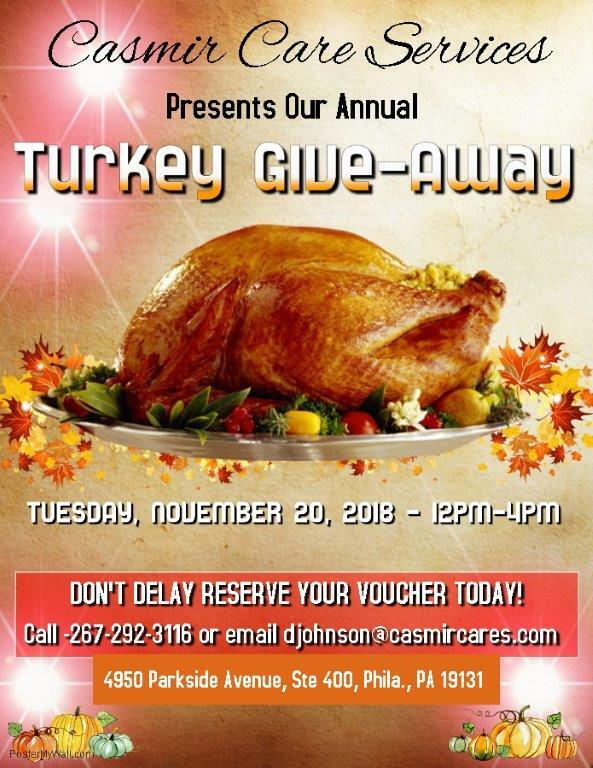 In the spirit of Thanksgiving and support of families, Casmir Care Services Inc partnered with the When In Need foundation (WIN) and Browns Shoprite to give away hundreds of vouchers to families of Individuals supported by Casmir Care Services as well as other families in need. This annual tradition, held at the Casmir Care Services headquarters on 11/20/2018 brought smiles to the faces of the recipients. Special thanks to all Casmir Cares staff who participated to ensure that the giveaway was fun and touching. Visit our Facebook page to learn more about the event.